Container tracking and monitoring technology is hardly a novel idea, but recent trends and technical advancements have accelerated an industry shift towards the increasing use of sensor-based Internet of Things (IoT) telematics devices and applications in the supply chain. Over the next several years, we can expect to see rapid technology development as IoT adoption scales up across many industrial, business and consumer applications. The container supply chain will benefit tremendously from this. First, there will be a proliferation of sensors to provide all sorts of intelligence. One telematics device can talk to literally hundreds of different IoT sensors using short-range wireless communications technology like Bluetooth Low Energy (BLE), NFC and ZigBee. In the future, we expect that sensors will be used to keep tabs on just about everything and anything related to cargo and container status. This will also extend to container handling equipment in ports and terminals. Intel, the computer chip maker that’s now heavily involved in smart and autonomous vehicles, fit-tech, augmented reality and other fast-moving IoT trends, says that the future is “sensors on everything”, with a ratio of 10 sensors to every device emerging as a ‘new normal’. 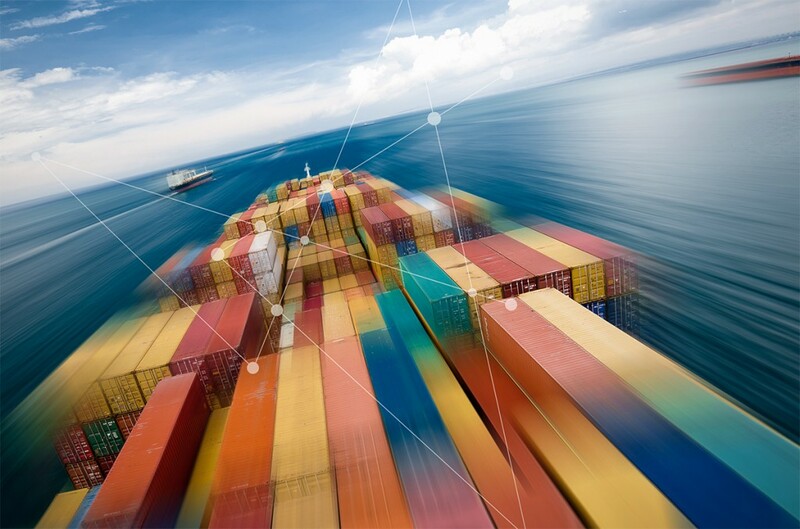 A wave of change is coming to container supply chains, driven on the one hand by rapid advances in the cloud, digitization, automation and autonomous traffic, and on the other by evolving market dynamics. The ability to pair trip-based telematics devices fixed to the outside of containers with low-range sensors inside the box will, we believe, be one of the most important breakthroughs for live supply chain management. This development will finally ‘connect the dots’ between asset level and cargo level tracking technology and will give shippers the visibility that they have been craving for years. For container supply chain applications, we expect dual-mode cellular and satellite devices to become increasingly the norm. Containers go to many places where cellular coverage is poor to non-existent and dual-mode means that satellite is always available as a back-up for mission-critical operations. This applies especially where security and/or cargo condition monitoring is a primary driver for usage. ORBCOMM’s dual-mode PT 6000 enables complete visibility and control of cold chain operations to help ensure the integrity of temperature controlled cargo along the supply chain. A good example is current adoption of ORBCOMM dual-mode telematics to track special 45-foot temperature-controlled containers that are used to carry high-value electronic goods overland by rail from China to Germany via Kazakhstan, as part of China’s New Silk Road/One Belt, One Road initiative. The rail journey stretches thousands of miles across some extremely inaccessible terrain. With no cellular connectivity, satellite is crucial to maintain a watching ‘eye in the sky’ in case of attempted theft or equipment malfunctions. 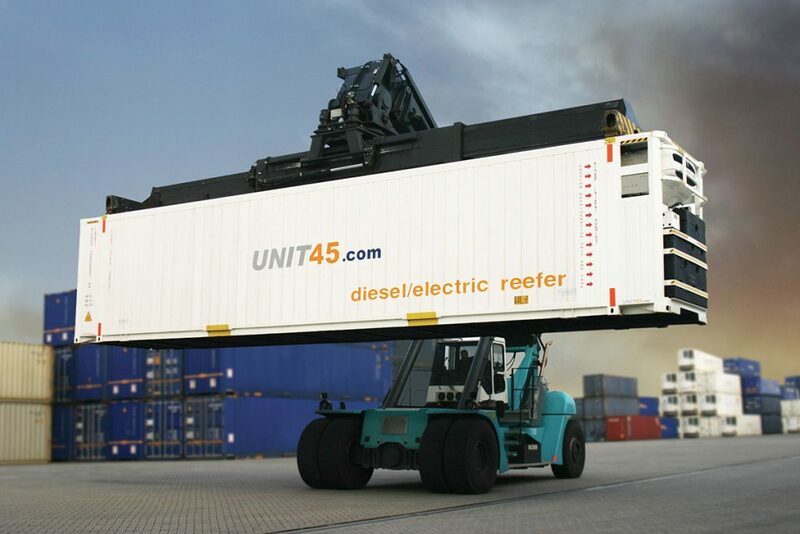 UNIT45, an industry leader in 45ft containers, created a ‘New Silk Road’ 45ft reefer unit with a fuel tank of 800 litres – enough to last 20-24 days – and the ability to load 33 europallets side by side inside the container for maximum capacity and cargo stability. ORBCOMM telematics is used to remotely control the unit and to send alerts/alarms to the back office. Device management will be another major focus area for the next few years, including further advances in multidevice platforms delivered over the cloud that allow users to manage multiple connected IoT and M2M devices and networks, including passive and active RFID, Wi-Fi, cellular, satellite, GPS, condition sensors and actuators. ORBCOMM’s DeviceCloud is a single interface for managing multiple networks and devices, where connectivity and device-specific messaging is abstracted to a common interface and messaging API.